Warwickshire County Council, with support from Solihull and Coventry, operates its own biodiversity net gain programme on all major and minor applications, unless otherwise agreed by the Local Planning Authority (LPA). Warwickshire was one of six pioneer LPAs to trial this approach. It is a policy requirement in all the sub-regional LPAs' core strategies to use the locally derived Defra metric to ensure that developments result in a biodiversity net gain. 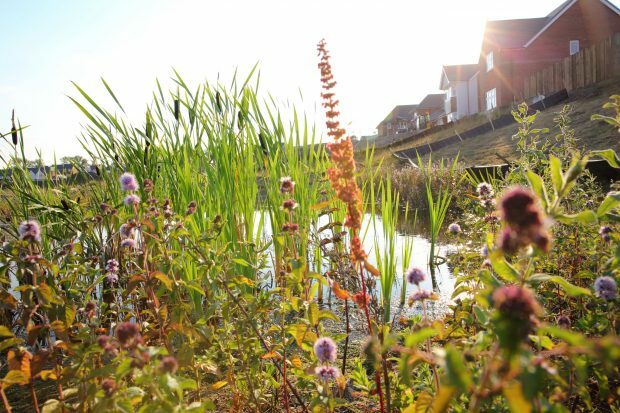 This means that all development within the sub-region must use the Warwickshire Biodiversity Impact Assessment (BIA) tool, which helps ensure all development applications are treated in a fair, equal and transparent manner. The BIA is completed by the applicant's ecologist and details the value of the habitat before and after development. Importantly, it records habitat that is to be retained and enhanced, mitigated for and compensated for onsite. It will then show if the development will result in a biodiversity net gain or loss. The assessment also has a similar process for hedgerows based on the Natural England assessment criteria. The BIA is submitted to the LPA ecological advisor who reviews the assessment and can use it to recommend changes to enhance a development further or, if necessary, illustrate when a development conflicts core strategy policies such as the mitigation hierarchy. It is important to note that species considerations are to be dealt with first and may inform any necessary pre-requisites for onsite habitat provision. If the development shows a residual biodiversity loss then biodiversity gain approach is triggered. This is resolved by the developer securing an agreement with a third party to achieve a net gain outcome through an offset agreement (directly or via their broker) or alternatively by making a financial contribution to Warwickshire County Council or Solihull Metropolitan Borough Council who will find an appropriate offset scheme. The current BIA provides an indicative financial sum enabling the applicant to account for the impacts of their development at the very early stages of the project. It provides a level of certainty rarely available in any other aspect of the planning process. It also clearly identifies habitat that is of higher value for biodiversity where development should or could be avoided. Conversely, it can be used to identify land that is of lower value in terms of biodiversity potential, which may mean it is acceptable to have less onsite habitat provision. While this may mean the developer has to give a higher contribution, it can be overall of financial benefit to them. The Biodiversity Impact Assessment is an effective planning tool that brings ecological considerations to the fore. In the context of the national planning policy framework’s aim of achieving sustainable development, it can demonstrate a win-win-win in its three social, economic and environmental objectives. Read more about biodiversity net gain in Warwickshire.